Pure Rain Irrigation installs, maintains and repairs underground residential and small commercial sprinkler systems in Surrey, White Rock, Langley, and Tsawwassen as well as Pitt Meadows and Maple Ridge. Our customers love their lawns and gardens and require lawn irrigation systems that will keep their plants thriving while using water strategically. 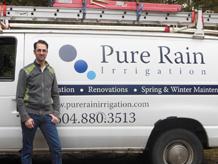 As a small company whose owner meets with you, plans and installs your system himself, Pure Rain Irrigation provides a high level of personal service perfected during more than 15 years in the industry in Surrey. 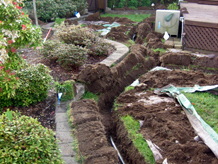 Underground sprinkler installation: from completely new systems to improving existing systems. Winter lawn sprinkler maintenance, including draining all water and performing a final shut down inspection, so sprinkler components do not prematurely wear out or break because of cold weather expansion. Sprinkler renovations: when it’s time to upgrade or modify your system to fit with new lawn reconfigurations, we do everything from installing new backflow prevention to adding water saving rain sensors and new spray zones, with strategically placed spray heads. 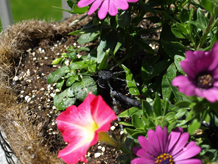 With properly planned and installed underground sprinklers (that have the benefit of a seasonal irrigation maintenance schedule) from Pure Rain Irrigation, Surrey, your lawn and garden will grow and bloom to its full potential without wasting water. 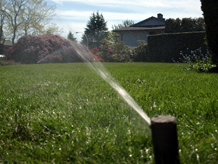 Call Daniel at 604-880-3513 and see the benefits of high performing lawn irrigation first hand, every day. If you are ready to develop the full potential of your lawn and garden areas by installing lawn irrigation, Pure Rain Irrigation will identify the most efficient way to do this. We inspect your entire system before you turn it on for the spring. If any parts have become broken or plugged over the winter, we clean or replace them. Winter maintenance of your lawn irrigation is crucial. In cold weather, rubber seals in valves will also expand and contract over and over again until they too stop working. Whenever you add something new to your yard, such as extending a patio, or adding a deck or vegetable garden, your lawn irrigation system will require updating.